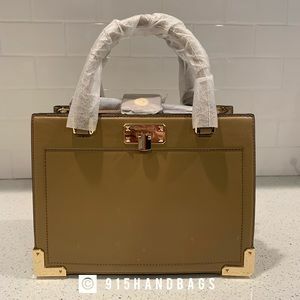 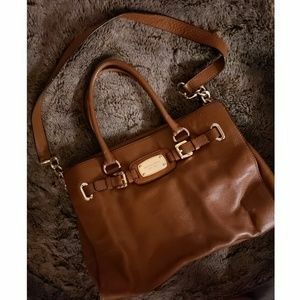 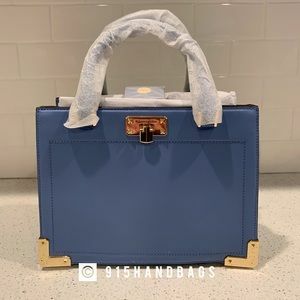 New Anabelle Large leather satchel bag . 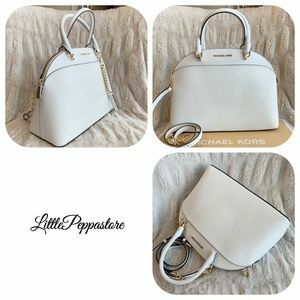 Size: 13.25 L x 10 H x 5 D inches . 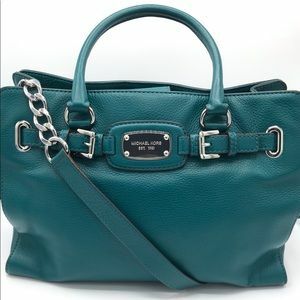 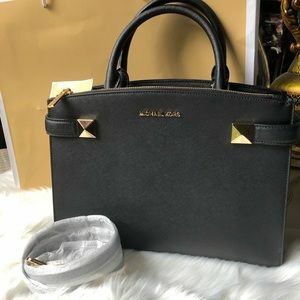 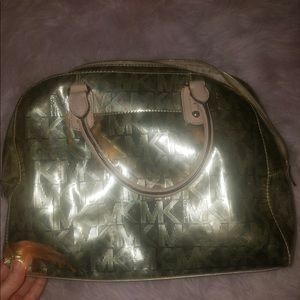 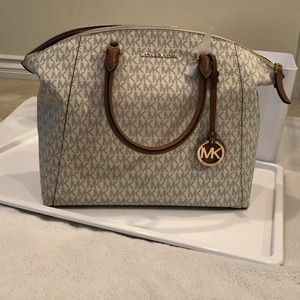 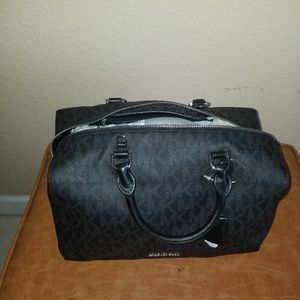 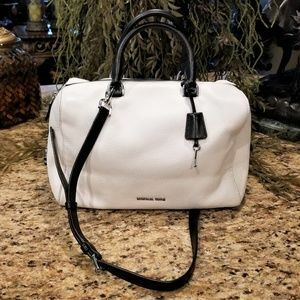 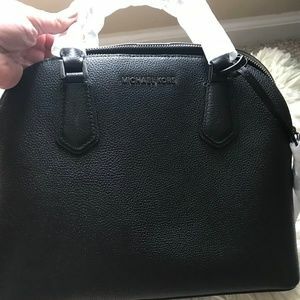 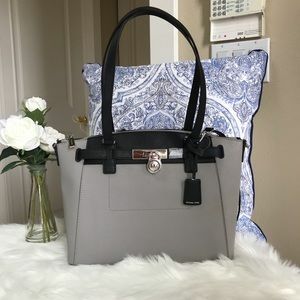 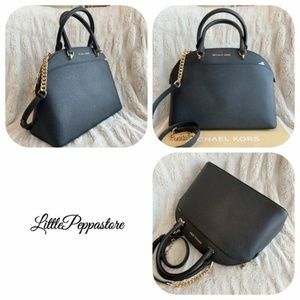 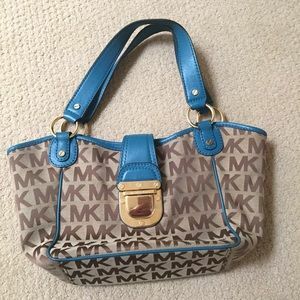 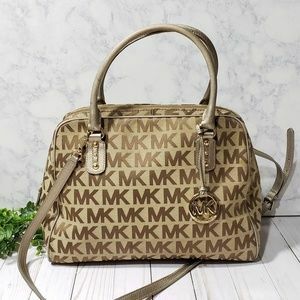 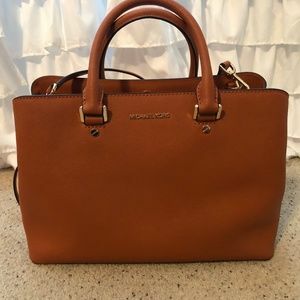 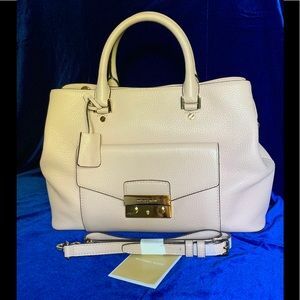 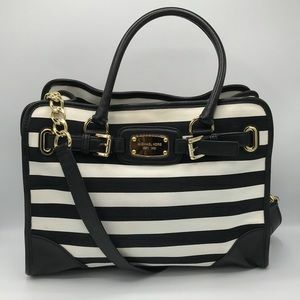 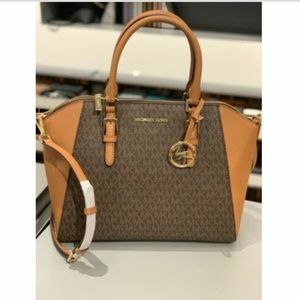 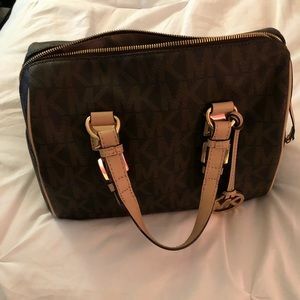 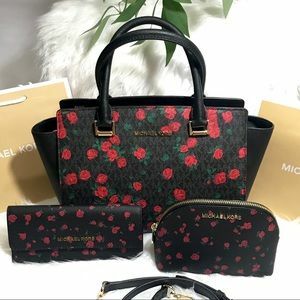 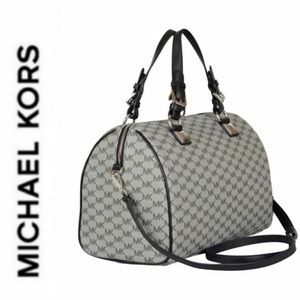 Michael Kors satchel handbag . 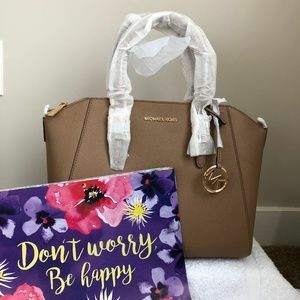 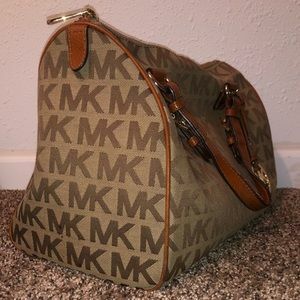 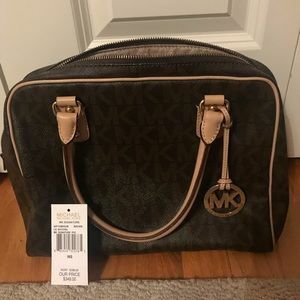 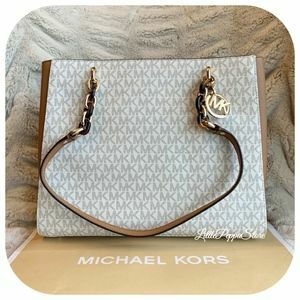 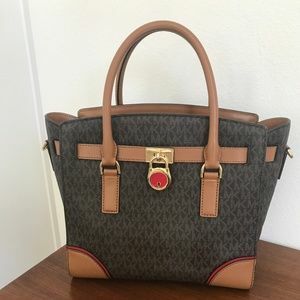 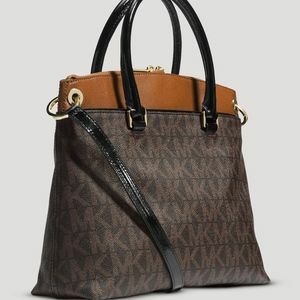 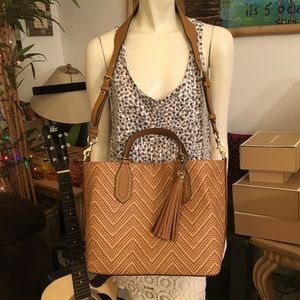 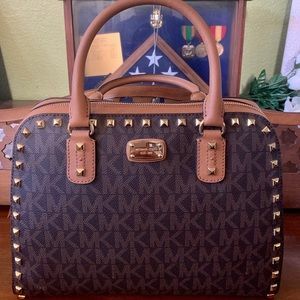 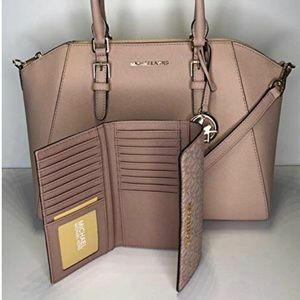 Michael Kors wheat and brown Grayson Purse.